After frowning over a map of south west France in vain, Hélène called the Tourist Office in Foix, Ariège. A cheerful sounding girl picked up the phone. ‘But…there’s a medieval castle here in town,’ was the reply. Long pause…’Could I ask what you want it for?’ The tone was getting impatient now. 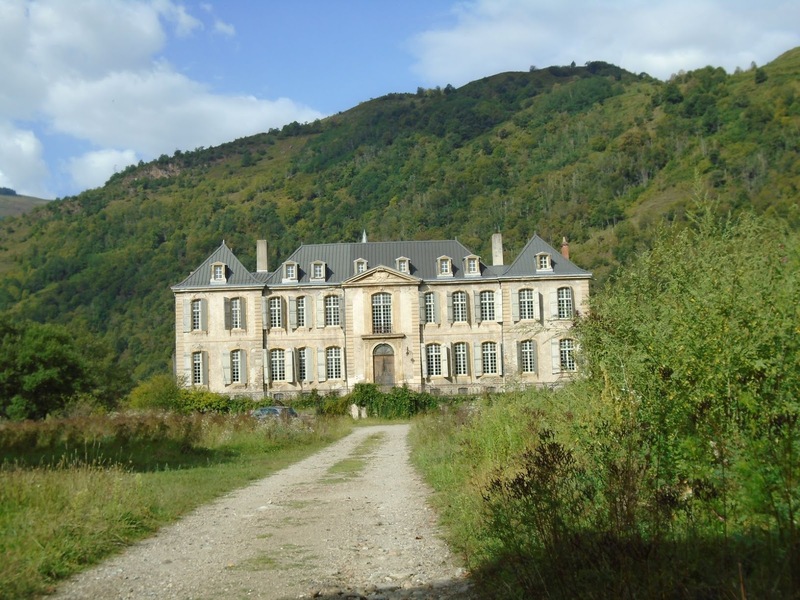 Soon afterwards, Hélène and I made a trip to Ax-les-Thermes and drove out to take a look at the Chateau de Gudanes. It was absolutely right as a setting for my fictional family. A medieval fortress, much enlarged and updated in the charming style of the eighteenth century, it was indeed splendid. Even with its empty windows, patches of crumbling stonework and shutters hanging loose, an overgrown avenue and a sad air of neglect, it was perfect. And a personal thrill was that Voltaire stayed there, [he’s my literary hero]. Seen from outside the padlocked gate with warning signs of the danger. And recently we made a third visit, when by good luck and good timing, we were actually able to go through the open gates, along that driveway and up the stairs leading to the wide terrace to the open front door. Now the chateau has all its windows fixed, the shutters have been repaired and the roof is sound. No wonder it looks brighter and seems to be beaming a welcome. 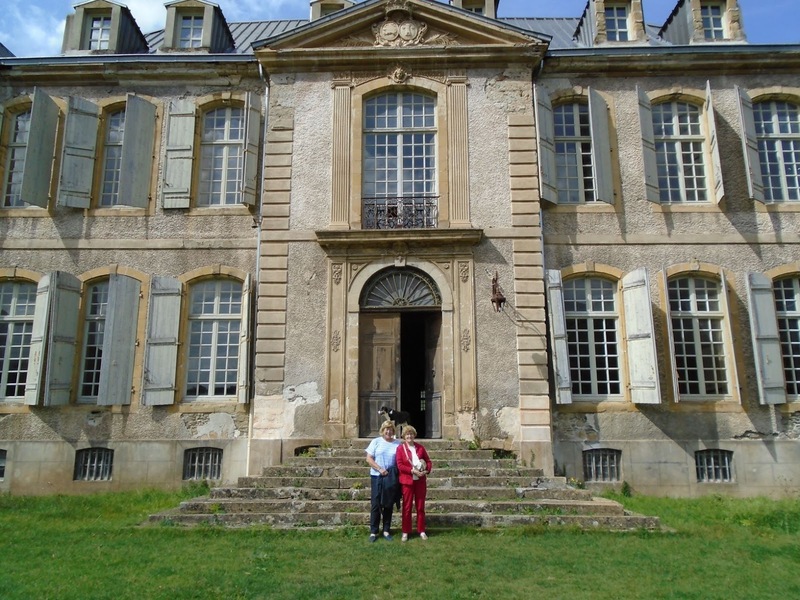 family’s love for this chateau, which has an atmosphere of warmth and serenity. As Hélène said when we posed for a photo on the terrace, this chateau has a soul. On the terrace below the open door, where Alfie the dog waits to accompany us on our tour. 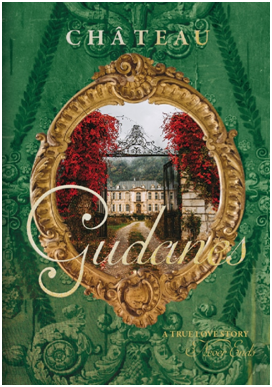 Karina Waters, the owner and prime mover in the massive programme of works at the chateau, has recently written and published this book recording the story so far.